I have navigated the myriad of personal monitoring devices and have picked 8 top heart rate monitors for women. There are many variants out there, and some are good and some less good, but the majority of modern activity trackers does the job. But why train with a heart rate monitor? If you use a heart rate monitor when exercising you make sure that you don’t train too hard and risk injuries or during workouts. You always get real time information from your wrist-based device on how hard you work out if you know your heart rate numbers. Check the retailer for more info. The amazingly popular Fitbit Charge HR is now available in pink color. You can, of course, chose other colors as well like black, blue, purple and orange. I have written a thorough review of the Charge HR here, so read that if you need more info. Measure your workouts, heart rate; distance, calories burned, floors climbed, steps and activity level continuously through the day. Check the recent price on Amazon.com before purchasing or get free shipping when ordering directly on Fitbit.com on orders above $50. This is a fitness tracker which does a great job measuring your whole day activity. The heart rate sensor works well for running and training. You may think it’s a bit expensive, but I’m sure you’ll find it’s worth it when you see all that it can do. I would say this product is perhaps the best personal fitness tracker you get nowadays. For newbies and beginner, I think the Polar FT4 Heart Rate Monitor is the perfect choice. When you wear the heart rate chest strap sensor that follows you get accurate and continuous heart rate monitoring. It shows you if you are in your training zone and how many calories you have burnt. The device is easy to use and is water resistant down to 30 meters so remember to wear it during your swimming exercise. Go on Amazon.com to get right, updated price. Great value for money. The Polar FT4 is perfect as a first heart rate monitor. It has most of the same functions as the more expensive FT60. An easy tool for a smooth workout. The Garmin Forerunner 220 is the most advanced GPS running watch in this comparison and also the most expensive one. It has GPS and an awesome high-resolution screen of 180×180 pixels. The Forerunner 220 has a built-in accelerometer so it can measure distance and pace indoors where there are no GPS signals. The Heart Rate Monitor has to be bought separately or in a package deal so double check that when purchasing. Transfer data to you iPhone or iPad with Bluetooth or to PC with a cable. If the wristband gets worn out, you can easily remove it and change for a new which is a big advantage. Price on Amazon.com right now with Heart Rate monitor is around a couple hundred $. Check for updates. I have to put this on the top segment just because it’s the best of these watches. It stands out, and the GPS is an advantage. The price is steep, so you should be serious if you buy this one. With the highest ranking on Amazon, the HeartQ Heart Rate Monitor & Sports Watch ends up in third place on my list. The product fits all ages, sizes, and genders. It has all the functionality you need in your workout. It has heart rate monitoring when you wear the chest strap sensor, has stopwatch feature. Choose between 3 selectable training heart rate zones to fit your training session. It keeps track of your burnt calories with the calories counter. Visit Amazon.com for the right price. This activity tracker has lots of functionality and is easy to use. There is no problem pressing the big buttons during training or look at the backlit display. It is not waterproof so if you plan on swimming a lot choose another one. The Timex Women’s T5K722 Ironman Road Trainer watch has the best water depth capabilities of all the devices in this test. You can actually go down to 100 M with it. But you cannot use the Heart Rate sensor underwater so that feature is excluded when swimming. When running it measure heart rate zone, time used average heart rate in a zone. It has Indiglo Night Light on the display for easier use in the dark. Shows how many calories you have burned. Visit Amazon.com for updated price tag. Great basic timer and heart rate measuring product for that price. Can be worn all day as a watch. Fits athletes from beginner to intermediate. The Polar FT60 Heart Rate Monitor is a more advanced version than Polar’s FT4 at place one in this list. The lower ranking is pure because of the price compared to functionality. It is a great Heart Rate Monitor and has some great features like the Star Training Program that help you with reaching your goals. You can store up to 100 training files in the device. It is a bit expensive and targeted towards committed exercisers. I like that it has backlit display and water resistance down to 30. For the heart rate monitoring function to work you need to attach the Heart Rate Sensor chest strap to your body. Get the new price on Amazon.com. This one has a few more advanced settings than the Polar FT4. If you are a serious athlete and have the money, this is a great choice. Set weekly goals and monitoring of your progress with this watch. Go to Amazon.com for the correct price before purchase. Perfect as an everyday training watch and heart rate monitor. Fashionable look and easy to use. Fits both beginners and serious users. The Suunto M2 Women’s HRM and Fitness Training Watch is a large watch which is easy to read. The design looks a bit like the more expensive Garmin Forerunner 220. There is no back light in the display so running in the dark requires other light sources to read the numbers. The watch gives you information in real time on burnt calories and heart rate during your session and not only at the end. The watch beeps when you move in or out of 3 heart rate training zones. Amazon.com has the updated price. Nice, very feminine design. Does just what it is designed for. Lacks a few advanced features but do it’s job. Price in the mid range. 1: Fitbit Charge HR Pink: This is a fitness tracker which does a great job measuring your whole day activity. The heart rate sensor works well for running and training. You may think it’s a bit expensive, but I’m sure you’ll find it’s worth it when you see all that it can do. I would say this product is perhaps the best personal fitness tracker you get nowadays. 2: Polar FT4 Heart Rate Monitor: Great value for money. The Polar FT4 is perfect as a first heart rate monitor. It has most of the same functions as the more expensive FT60. An easy tool for a smooth workout. 3: Garmin Forerunner 220: I have to put this on the top segment just because it’s the best of these watches. It stands out, and the GPS is an advantage. The price is steep, so you should be serious if you buy this one. 4: HeartQ Heart Rate Monitor, Sports Watch & Activity Tracker: This activity tracker has lots of functionality and is easy to use. There is no problem pressing the big buttons during training or look at the backlit display. It is not waterproof so if you plan on swimming a lot choose another one. 5: Timex Women’s Ironman Road Trainer Digital: Great basic timer and heart rate measuring product for that price. Can be worn all day as a watch. Fits the beginner and intermediate athlete. 6: Polar FT60 Women’s Heart Rate Monitor: This definitely has a few more advanced settings than the Polar FT4. If you are a serious athlete and have the money, this is a great choice. Set weekly goals and monitoring of your progress with this watch. 7: Garmin FR70 Fitness Watch with HRM: Perfect as an everyday training watch and heart rate monitor. Fashionable look and easy to use. Fits both beginners and serious users. 8: Suunto M2 Women’s Heart Rate Monitor and Fitness Training Watch: Nice, very feminine design. Does just what it is designed for. Lacks a few advanced features but do it’s job. Mid range price. Hi there, can you buy these in different colours ??? Yes many of them are in different colors. I will add retail links and add which colors is available now. Wow! great info! I’ve been thinking about getting the Polar but didn’t know what other options I had. I think I will stick to the Polar. Thanks! Wow, what great information and the timing could not have been better with Mother’s Day approaching quickly. I think my wife might like the Fitbit Charge HR Pink. As a fitness enthusiast, it looks like this fitness tracker does a great job measuring your whole day activity. You mention that the heart rate sensor works well for running and training. How does it work for cycling? The Fitbit Charge HR can not monitor cycling in a good way. But it is possible to enter the data manually into the app if you want cycling to count towards a training goal. For cycling, there are a lot of cadence sensors you can mount in shoes, pedals and on the bike wheels. Hmm.. I think I need to write an article about such bike gadgets too. Serious question about chest straps vs wrist bands for HR monitoring. I am not flat chested, the opposite, and am worried that the inconvenience or discomfort of the chest strap will be a deterrent. Will a wristband monitor be good enough? Also need large display so I don’the have to wear specs while working out. I am in my early 60s, exercising for health, fitness and weight loss. I want to be able to get real time feedback on my HR zone, 3 zones should be fine. Mostly walking and gym aerobics, no swimming. Great question! If you need very accurate heart rate measuring the chest strap is still the best solution. An HR sensor chest strap is worn around your chest, just below chest muscles, and it is supposed to sit tight. Even if they are not comfortable to wear, I would still advise you to try if you are doing High Intensity Interval Training (HIIT) for instance. The HR sensors in wristbands are getting better and are more comfortable to use. In many situations, a wristband sensor is enough. Some activity trackers can be paired with a chest strap, even if they have a built-in heart rate sensor too. It might be a good way to test accuracy to chek both. Here are a few good suggestions for activity trackers with heart rate sensor for walking, gym, and running with a fairly large display. – Polar A360 – It has wrist-based HR sensor and it shows the current heart rate and which zone you are in on the display. It can optionally be paired to Polar’s H7 chest strap. – Garmin Forerunner 35 – Built in sensor with real-time readout of heartrate and zone. – Fitbit Blaze – PurePulse heart rate monitoring and simple reading of zones. I hope I managed to give you some relevant answers. Let me know if you want more help. 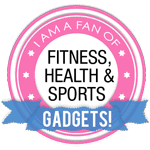 thank you for publishing a very interesting article about 8 best heart rate monitors for women in 2017. This monitors are very popular, I am interested to buy fitbit charge HR for my mom. It looks great, it has awesome features and the price is reasonable. Great informations.